In this episode – Continued reading of History of Great American Fortunes by Gustavus Myers. Includes Part III, Chapter VIII: Further Aspects of the Vanderbilt Fortune. The Commodores Methods Carried On By the Third Generation. An American Era: Frauds Below $50 Million Barely Worth Mentioning. The Vanderbilt’s Confiscate a 17 Acre Chunk of New York City. Compliant Government Officials Pass Law to Gift The Area to the Vanderbilt’s For Their Private Use. They Sign An Agreement to Re-Open the Streets to the Public Whenever The City Requires. The Agreement Gets “Misplaced,” Disappears for Twenty Years. They Pay No Taxes on the Appropriated Land. Other “Small” Frauds Considered: Public Fleeced $1.2 Million for New York Central Upgrades. The Railroad Charges What it Pleases For Work and Materials, City Forced to Pay. Vanderbilts Pose as “Reformers.” Methods of Acquiring the Lake Shore, and Boston and Albany Railroads. The Government An Engine for Tyranny. Machine Guns for the Overworked. Ten Millions for A Dukedom. Vanderbilt Marriages to European Titled Nobility Prove a Drain On Their Huge Fortune. Sorry for the extended absence. Thanks for the emails. Life has required my attention. The podcast will resume. 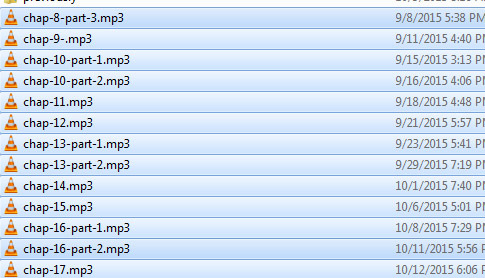 There are 13 episodes sitting on my drive waiting for post-production. Post takes approximately 2 hours per hour of audio. Holidays will continue to hold up process. Maybe Santa will leave a gift here. Otherwise see you next year. In this episode – Continued reading of Triumphant Plutocracy by Richard Franklin Pettigrew, including Chapter XV: Ten Presidents. Pliable Men, Who Served Faithfully the Business Interests. Grant was a Soldier, Not a President. Benjamin Harrison Attempts to dominate Party Politics. A Lesson In Campaign Funds. The REAL Government: Railroads, Industry, Financial, and Transportation Corporations. Grover Cleveland Vetos 5 Times More Bills Than All Previous Presidents Combined. Cleveland the Drunk. His Week Long Bender’s on Benedict’s Yacht. William McKinley Lies to Pettigrew’s Face. Annexing the Sulu Nation. The US Protects a Slaver Nation After the Civil War Supposedly Eliminates Slavery. In this episode – Continued reading of History of Great American Fortunes by Gustavus Myers. Includes Part III, Chapter VI: The Entailing of the Vanderbilt Fortune. Vanderbilt’s Parsimonious Habits. The Nature of His “Friends,” So-Called. His Wife and Sons. Why William H. Vanderbilt Spent Most of His Life as a Modest Farmer. The Entailment of the Massive Fortune: $90 Millions to the Chief Heir. The Rise of Standard Oil, America’s First Trust. William Vanderbilt’s Prophetic Testimony to the Hepburn Committee. The Great Strike of 1877. The B&O Railroad and False Flags. Congressional Investigations Are Designed to Obfuscate and Let Everybody Off the Hook. Vanderbilt Divests Himself of Railroad Stock and Buys Gov’t Bonds.